How progressive is Ghana’s oil and gas insurance? Almost a decade ago, Ghana discovered crude oil in commercial quantities. Amid the excitement that came with it were those who predicted the possibility of the Dutch Disease infecting the nation, especially to the detriment of the agricultural sector. 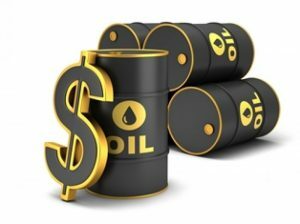 Oil discovery by any country is indeed a joyous moment as it is believed that the oil find will propel the country into an exponential economic growth. Though seen as good omen, it comes with its attendant risks that require well-established insurance underwriters to manage. It also walks hand-in-hand with its huge financial outlays in the area of infrastructural developments such as the construction of rigs, the digging of wells and office complexes which require several forms of insurance. This constitutes basically various insurance policies targeted at the oil and gas sector of the economy. Its purpose is to provide adequate insurance coverage for every phase of the oil exploration process from discovery through to the extraction of the oil. At the exploration phase, the oil explorer is expected to lease a block for drilling. Such operators will require a Public Liability insurance policy to cover their obligations at law as contained in the lease agreement and any other regulatory permits. They will also require other insurance policies such as group personal accident, fire and allied perils, employers’ liability, motor insurance, and any other policies needed for their operation akin to any other business venture. Since most oil exploration activities are conducted off-shore (or at high seas), most policies targeted for this sector require special wordings to take cognisance of the delicate nature of operation. Some of the policies required are marine insurance, seepage and pollution insurance, removal of debris, rigs and equipment insurance, erection all-risk insurance, pollution liability insurance, loss of revenue insurance, sabotage and piracy insurance, among others. Indeed most third world countries with oil lack the local market and the capacity to underwrite these huge risks; the reason most of these risks are placed in offshore markets. These placements, which are often done in notable insurance markets, such as the UK and the USA, provide insurance cover for up to 95 per cent of the oil and gas industry, globally. Ghana, having realised the economic challenge that it is likely to face in the area of insurance placement following the oil find, has duly tasked the stakeholders to explore the avenues for developing the local market/ capacity to accommodate the oil and gas insurance. In view of these, the National Insurance Commission (NIC), in collaboration with the National Petroleum Commission of Ghana, has come out with the Ghana Oil and Gas Insurance Pool (GOGIP) to pool their resources together to underwrite oil and gas risks in Ghana. The NPC and the NIC supported by industry stakeholders have developed this protocol for placing oil and gas insurance in Ghana in line with the Petroleum (Local Content and Local Participation) Regulations 2013, (L.I. 2204) and the Insurance Act 2006, (Act 724).The protocol has created an opportunity for the local insurance companies and intermediaries to actively participate and play a lead role in the oil and gas business in Ghana. This Protocol, which sets out the rationale and principles behind placement of insurance in the upstream petroleum sector in accordance with the Insurance Act 2007, Act 724 and the Petroleum (Local Content and Local Participation) Regulations 2013, (L.I. 2204) also has additional procedures which must be complied with in placing upstream insurance. It is my conviction that one of these protocols, which stipulate that all insurable risks of petroleum sector contractors, subcontractors, licences or other allied entities shall be insured with the Ghana Oil and Gas Insurance Pool as the representative of all the licensed insurance companies in Ghana, is working effectively. That the GOGIP and the appointed reinsurance brokers shall ensure prompt remittance of the overseas reinsurance levy to the National Insurance Commission (NIC) is one which stakeholders should not lose sight of.